Published: Aug. 30, 2018 at 11:18 p.m.
Kansas City Chiefs defensive back Makinton Dorleant intercepts Green Bay Packers quarterback Tim Boyle and returns the interception 30 yards for a pick-six. 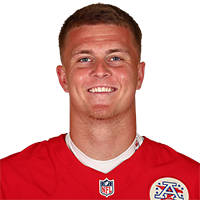 Published: Aug. 30, 2018 at 10:50 p.m.
Kansas City Chiefs quarterback Chase Litton throws to Kansas City Chiefs wide receiver Byron Pringle for a 40-yard completion. Published: Aug. 25, 2018 at 04:35 p.m.
Kansas City Chiefs wide receiver Marcus Kemp evades multiple Chicago Bears defenders and punches in a 55-yard touchdown.